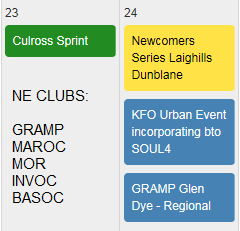 Can’t wait for our next event before getting another orienteering fix? Here are details of some Permanent Orienteering Courses in the area. Maps are available from us – drop an email to mapping@grampoc.com. Several course suggestions on offer including some quite challenging options if you fancy straying off the paths. Maps are available from the Ticket Office at Crathes Castle for £1 or can be obtained from the Crathes Ranger Tel: 01330 844810. Following the restoration project at Duthie Park, Aberdeen City Council and Gramp have pooled resources to reinstate the Permanent Orienteering Course there with two versions of the map and a Mobo orienteering course too for those with smartphones and a sense of technological adventure. Take a look at the ACC leaflets for the Short 1km and Medium 1.9km courses featuring a special map, based on the architect plans for the restoration, and controls on most of the historical features and monuments dotted about the park. If you want to time yourself and compare your performance against others using your smartphone, the Medium course is available on the MOBO app – http://mobo.osport.ee/ . Use the menu top left, just underneath where it says “MOBO: Be smart”, to change to English or whatever language you want and follow the instructions underneath the map. If you zoom into the map you can see other MOBO courses locally including Maroc’s at Dess, Bell Wood and Creag Choinnich. The Forestry Commission have re-instated the POC posts at Kirkhill now and you can download a map from their website. Accessed from the car parks at Abbotswells Crescent (eastern side of reserve) and Nigg Way (west side) and from various points along the edge of the housing estate. You can find out more about Kincorth and other Local Nature Reserves by visiting Aberdeen Council’s Country Parks/Countryside Ranger Service web page. 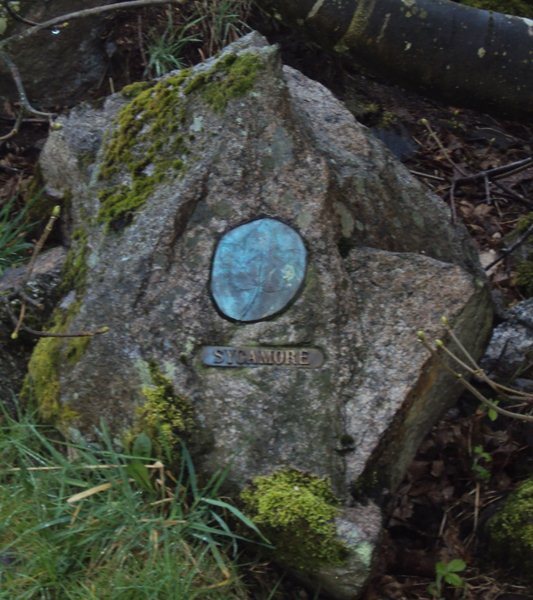 Controls: you’re looking for small bronze plaques here rather than the usual red and white orienteering markers, so keep your eyes peeled and see if you can identify the animal or tree that the cast came from. Answers: Don’t cheat! Have a go at identifying the markers first then come back for the answers. “The markers were a part of a project with the local primary schools and Academy in Kincorth in 2007/08. We were encouraging the increased appropriate use of Kincorth Hill by the local community as a whole to help raise awareness of the value of the site for wildlife and recreation as a part of our work to try to reduce the levels of willful fire raising that was occurring on the site. As a part of this we worked with the ACC Arts Development Team, a sculptor, the schools and the Sue Ryder Centre in Kincorth to design and make a 3-D bronze sculpture of the Hill. The students and residents at the Sue Ryder Centre made the moulds for the bronze casts and got a tremendous amount out of working together and new friendships were built up. This project delivered 2 of the 3-D models which are located on the hill, one at the main viewpoint and one on Nigg Way at the bottom of the hill behind the Kincorthland block of flats. There was a small amount of funding left once these were completed so the students came up with the idea of making bronze casts of some of the animal footprints and tree leaf prints which became the orienteering markers on the site. Some of them have the name of the animal or tree next to them, but some don’t so users have to work out what some of them are themselves! When we had the official launch of the maps and orienteering markers the Fire Brigade attended with their all terrain vehicle and took some of the Sue Ryder Centre residents up to the top of the hill to see the view. Many of these were wheel chair users who could not otherwise get to the top of the hill so this made a huge impression on them. Our neighbouring club, MAROC, also have one or two POCs. Check http://www.marocscotland.org.uk/ for details.